Apple has started releasing the beta updates for the latest iOS 12 firmware. You can now download and install iOS 12 Beta 2 iPSW on your iPhone, iPad or iPod without Developer Account. There are a lot of new features landed on iOS 12. Many performance upgrades and optimization are done in the new iOS version. It is completely revamped and even on older devices, the iOS 12 is completely stable and very fast. I will show you how to install iOS 12 Beta 2 IPSW file on your phone. You need no UDID or Developer account for this. First you have to download the ipsw firmware file for your phone mode, and then you can install it via itunes. The process is very easy to do. Instructions are given in this tutorial. The iOS 12 has some amazing features. The best thing is its speed. It is said that the apps now launch twice faster than before. Camera app launches almost 70 percent faster than it was before. When you unlock the screen, the apps show up in half the time than previous iOS versions. The overall speed of the software is very increased. Camera app opens up almost 70 percent faster than previous iOS versions. Every app loads up faster than before. When you unlock the phone, the app screen shows up twice faster. Notifications are arranged in a way that they appear on priority. Useless notifications won’t even bother you. The notifications from same app are arranged in a same block so there is not a mess in notifications bar. Screen time is a new feature that is added which records your iphone usage activity. It is very useful for Phone addiction tracking. Parental controls are added. Parents can restrict the apps for their children. New Gestures are now available for iPad. So these were some pretty extended features. Now let us get to install iOS 12 Beta 2 ipsw on our iDevice. The direct ipsw links for iOS 12 beta 2 are provided below. You can download the required the ipsw file for your phone mode. If your phone mode is not listed then it means it is not compatible with it. One thing you should remember that this is the beta version of iOS 12. So it may contain bugs can harm your Phone. Only install this beta version if your are an iPhone fanatic. To install the latest iOS 12 beta 2 update. Follow the below instructions. 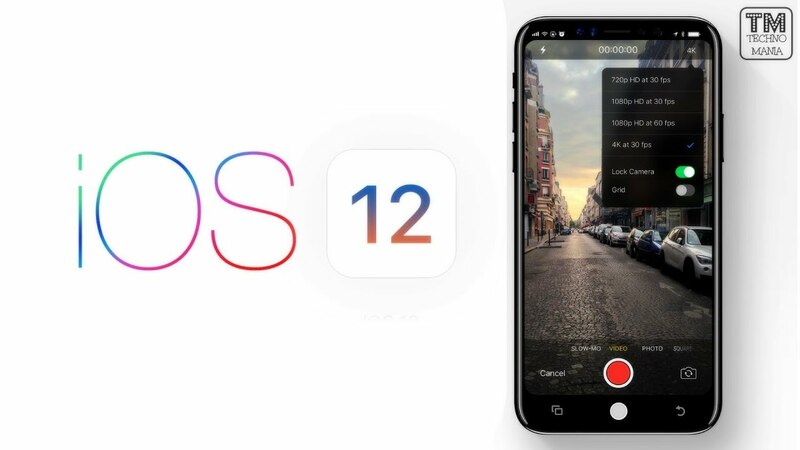 Now the beta version of iOS 12 wil start installing on your phone. Wait for it to install completely.